Starting with packaging, both come in glass jars with the ABH Dipbrow containg 4 grams of product and NYX Tame&Frame containing 5 grams of product. The NYX pot is smaller, and since the amount of product is larger, you’re actually saving space and weight. 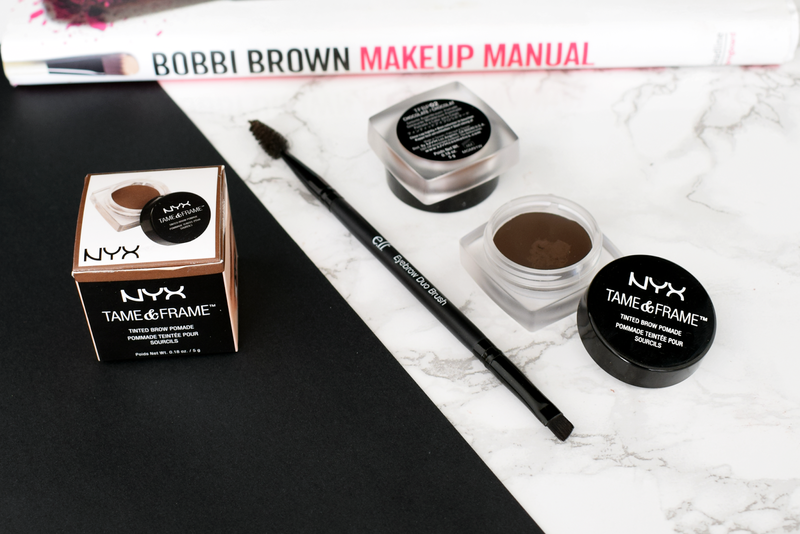 When comparing formulas, I find the NYX Tame&Frame Pomade to be creamier and easier to blend than the ABH Dipbrow. This means that there will be more product on your brush, unless you take off the excess on the back of your hand or on the lid of the product. The ABH Dipbrow is a bit waxier and for that you’ll have less trouble with the excess, but it takes longer to apply because you have to draw in hairs one by one. I apply both pomades with a thin angled brush, my favorite is the E.l.f. Eyebrow Duo Brush because it also has a spoolie, but the Zoeva 317 Winged Liner and Essence Angled Liner brushes are also great options. Regarding the colors, Anastasia Beverly Hills has a huge range with 11 shades, whereas NYX only has 5. For my coloring, with dyed red hair, I usually use the shades Chocolate and Auburn in the Anastasia Beverly Hills version. 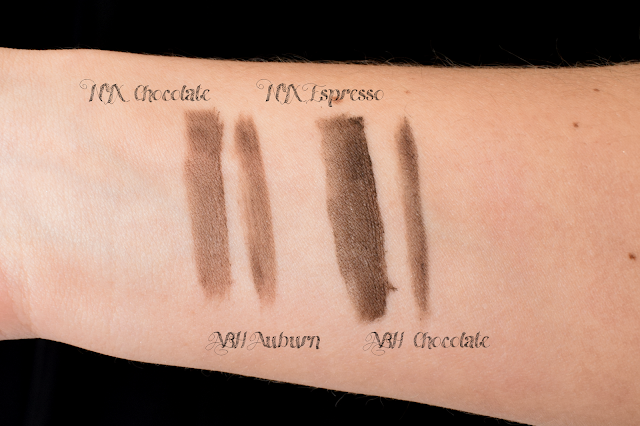 I found that the NYX Tame&Frame has two exact dupes for the Dipbrow shades: NYX Chocolate is a dupe for ABH Auburn, and NYX Espresso is a dupe for ABH Chocolate. I think the darker shade suits me better, but I like to use the lighter one to warm up the inner part of the brow and recall the color of my hair. Overall I would definitely recommend saving your money and picking up the NYX Tame&Frame Brow Pomade (7.26€ on Feelunique, 11.95€ on Douglas) over the Anastasia Beverly Hills Dipbrow Pomade (18.70€ from BeautyBay, 29.95€ on Douglas). NYX definitely made a great dupe of the Dipbrow Pomade that is super pigmented, creamy and very blendable. Do you use this type of product on your brows?